If you are thinking of building a pool and you live in Lehigh County, you've come to the right place! Monogram Custom Pools is the #1 pool builder in the Lehigh Valley, #1 pool builder in Pennsylvania, and #27 in the USA. 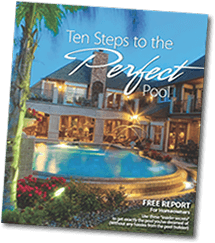 Almost 20 years ago, when we started Monogram Custom Homes, we never dreamed that we would end up as the #1 custom pool builder in the area. But after years of ensuring that our customers ended up 110% satisfied (along with being the most award winning contractor around), we received an award naming us Lehigh Valley Business of the Year and were ranked as the #1 pool builder in Lehigh County and #1 in PA in 2013.